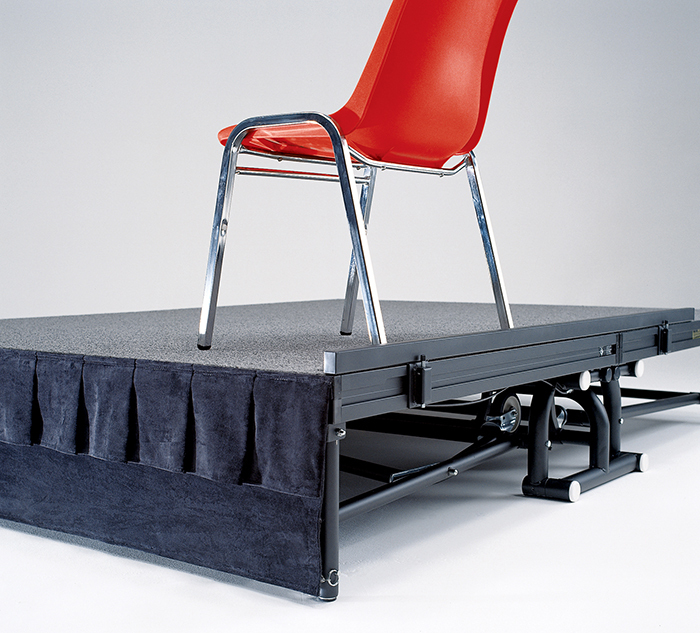 Avoid injury by keeping your chairs or tables secure on elevated performance stages or head table riser. 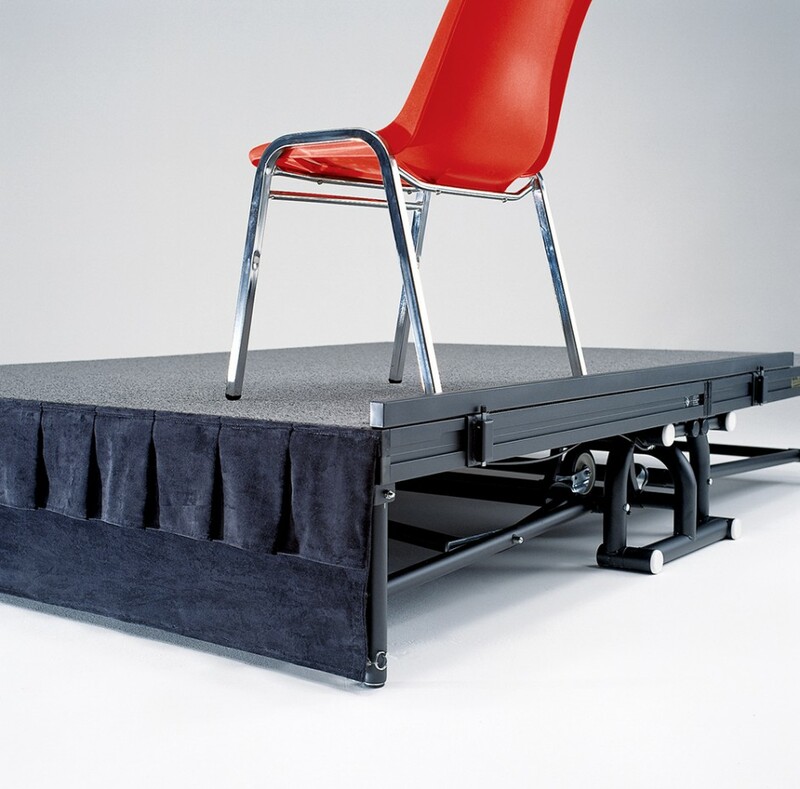 You no longer need to worry about injury or disruption resulting from chairs or tables slipping off your head table risers or portable staging during your events. 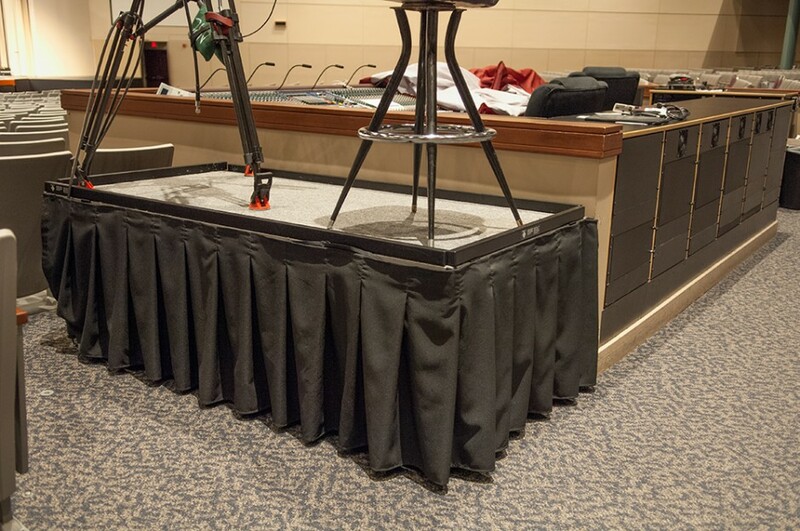 These chairstops attach with quick-lock mounting brackets — locking firmly and inconspicuously on the edge of our StageRight portable staging decks.